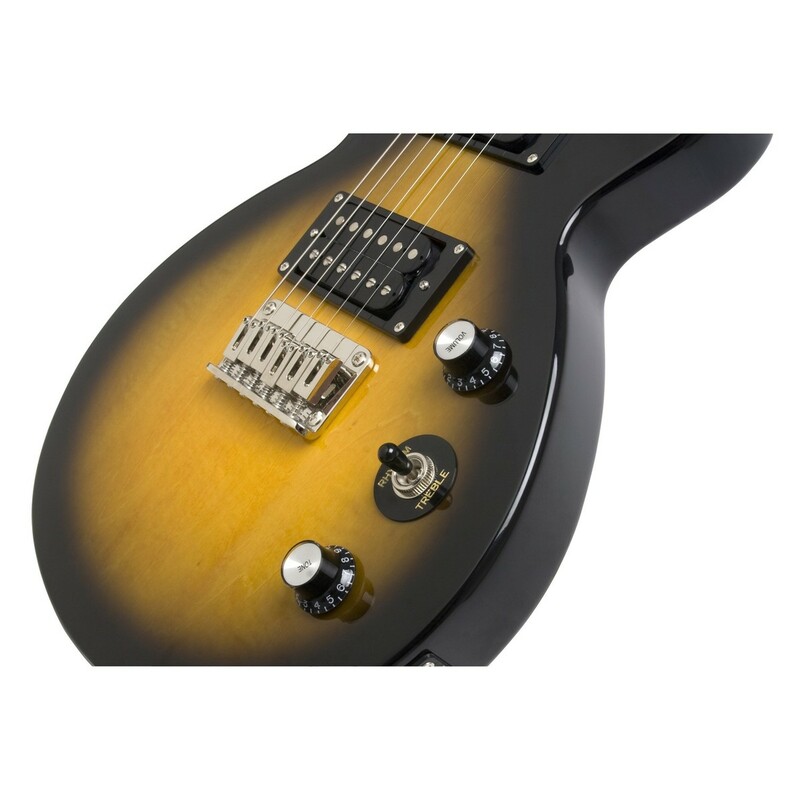 The Epiphone Les Paul Express, Vintage Sunburst is a smaller and more lightweight version of the classic Les Paul, which is ideal for travelling musicians, younger players and beginners too. The Les Paul Express provides the iconic appearance, and tone of the original, with a smaller and more basic 'no-frills' design. 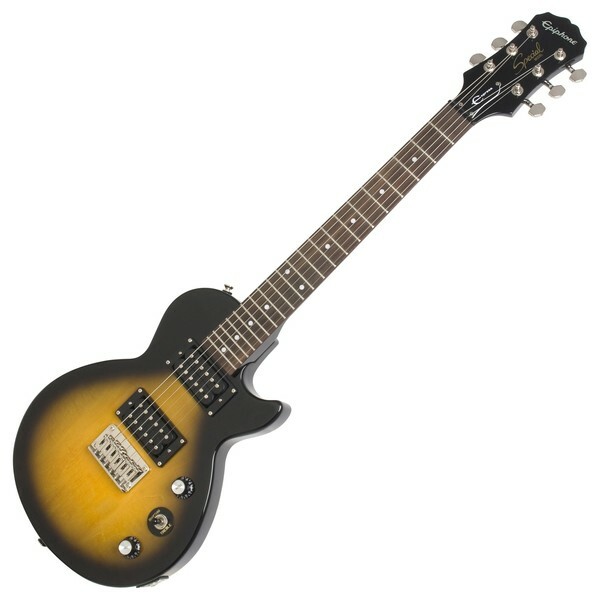 Powered by a pair of Epiphone Open Coil Humbuckers consisting of a 700T at the bridge and a 650R at the neck; the Epiphone Les Paul Express guitar delivers warm and responsive tones that work for many different styles. The bolt-on okoume neck brings added brightness, and snap as well as light and tight tones; it is paired with a rosewood fingerboard for enhanced warmth and beautiful articulation. 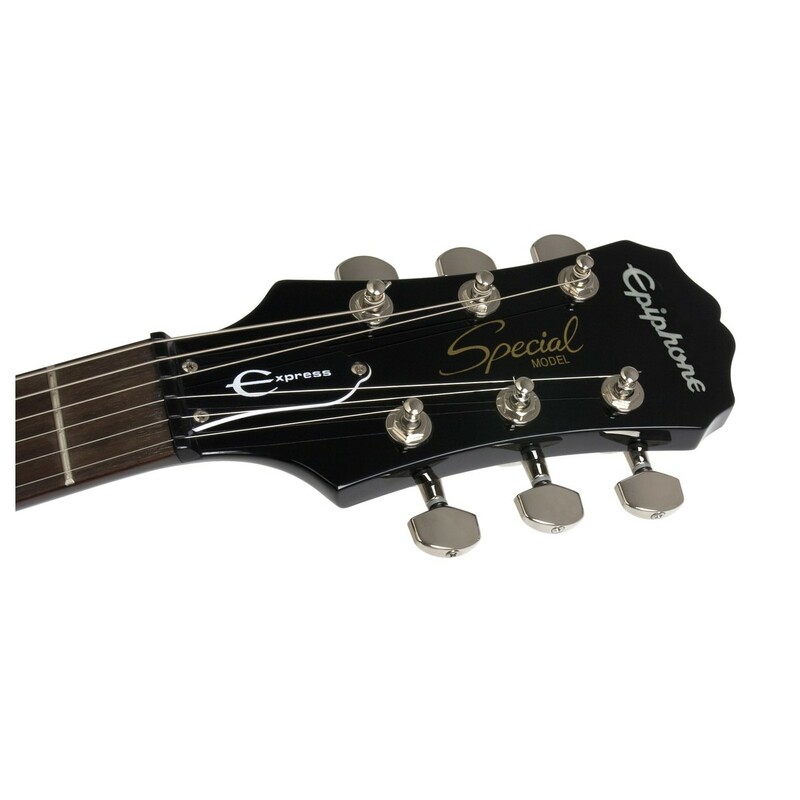 Equipped with an Epiphone FB-601 Fully Adjustable bridge, and Premium Diecaast tuners, the Les Paul Express provides stable tuning that you can rely on. The Epiphone Express Guitar features a Vintage Sunburst finish for a classic and retro appearance. 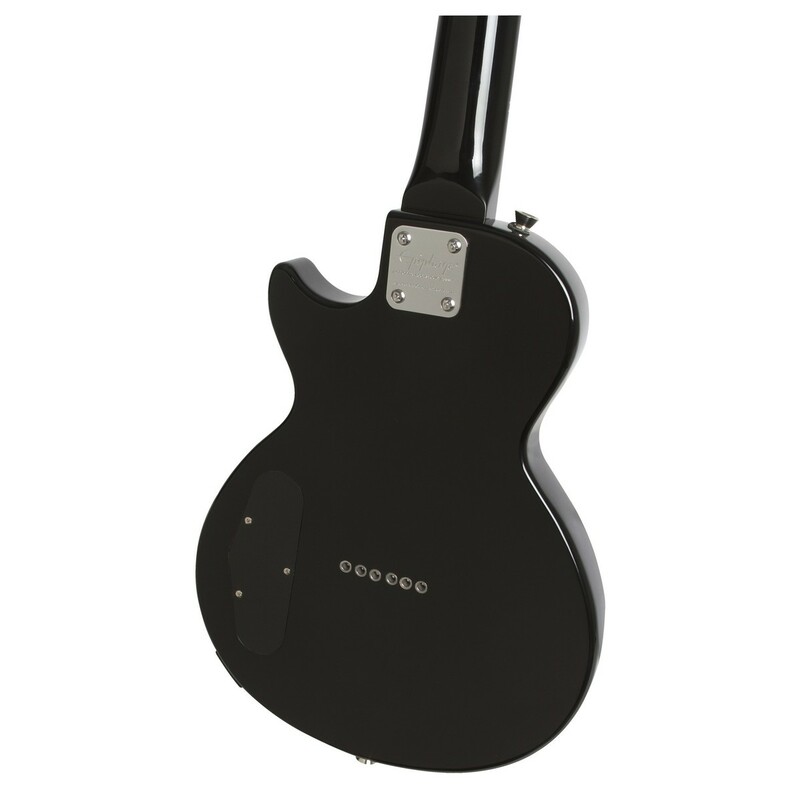 The Les Paul Express guitar is loaded with a pair of Epiphone Open Coil Humbuckers, which include a 700T at the bridge and a 650R at the neck position. The Alnico pickups provide excellent versatility that works well with a whole range of different genres. The Open Coil Humbuckers deliver warm and vintage tones that are extremely responsive to different styles. A mahogany body gives the Les Paul Express a warm and resonant tone with great sustain, as well as plenty of depth. Mahogany delivers good levels of grind and bite, which works exceptionally well with punchy rock music. The mahogany body also provides durability, and a tone that will mature over the years for a long lasting investment. The Les Paul Express Guitar's neck is made from okoume which offers brighter and lighter tones than the mahogany of the classic Les Paul's. The neck has a tapered heel that allows easy access to the higher frets for added comfort. The bolt-on okoume neck provides more high end bite and grind, as well as plenty of snappy tones; and it is coupled with a warm rosewood fingerboard, ideal for creating articulate tones that are soft yet punchy. The Les Paul first entered the world in the early 1940s, when the legendary guitarist created the world's first solid body electric guitar that was known back then as 'The Log'. The Les Paul Express is a smaller and more lightweight version of the original, which makes it ideal for younger players, travelling artists and beginners too. The little Les Paul still captures the iconic appearance, feel and sound of the Les Paul we all know yet with a smaller package, the Express provides added convenience. Epiphone combines tradition, value and innovation to produce Les Paul Guitars that both look and sound unbelievably close to their Gibson counterparts, at a more affordable price.